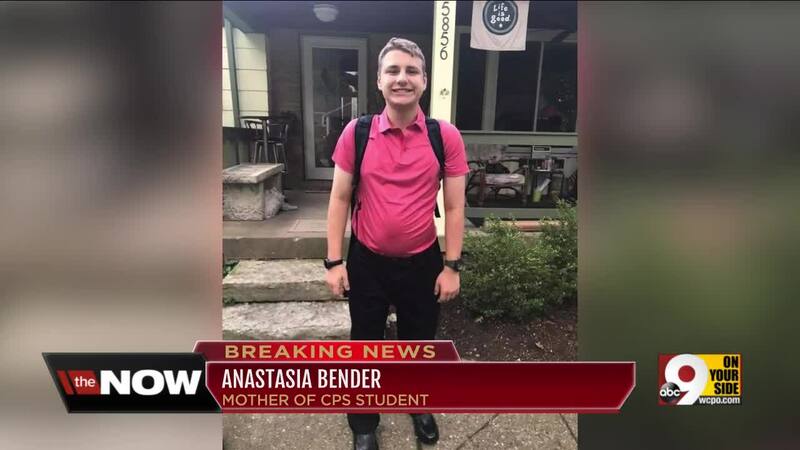 CINCINNATI – The mother of a Cincinnati Public School student got a phone call she did not expect Thursday morning - even before the news hit. An active shooter was in the building where her autistic son was working on his internship. Anastasia Bender had dropped off her son at the Fifth Third Center just a half hour before the call. Elijah Bender, 18, is part of CPS's Project SEARCH, where students with disabilities aged 18 and older have internship programs as they transition from high school into work. Elijah is one of eight students in his class working with Fifth Third Bank. 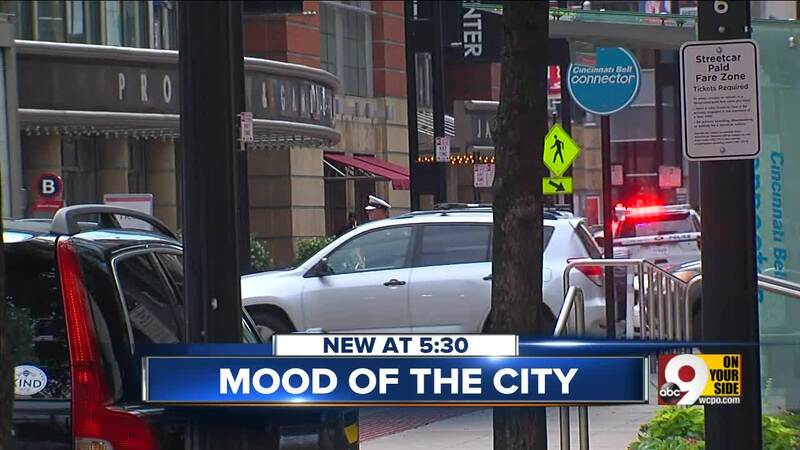 Seven of the eight reported to the Fifth Third Center on Fountain Square with three instructors. The call was to let Anastasia know that Elijah was safe and sound after a shooter killed three people in the lobby and police killed the shooter. "He just said, ‘Hi, Mom. It's me. I’m fine. I just want you to know I'm doing OK and we're in a safe place,” Anastasia told WCPO. “I don’t know if it’s completely set in. I don’t know if it’s completely set in with, me either. But yes, he’s really aware of what's going on." 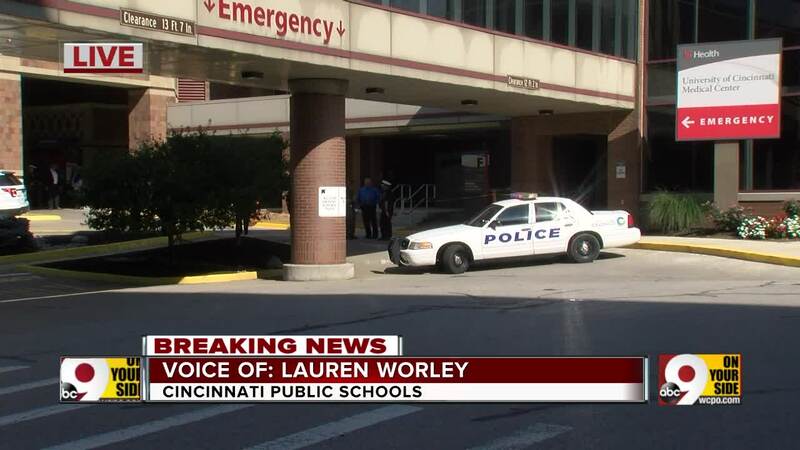 "I'm sure they're a little shaken up," said Lauren Worley, a CPS spokesperson. "Anytime there's a situation like this, it's frightening, and in some cases we find that people react even more differently after a situation occurs." The students and instructors went into lockdown once word of Thursday morning’s mass shooting spread, Worley said. Parents were immediately notified. "We have a pretty clear protocol that our schools follow and it’s no different when we’re in a different building," Worley said. "Students, we first made sure they were safe and that they were in the area of the building to ensure their safety, then the instructors made sure to contact parents as well as the district officials here at the education center." Elijah's mother said she was grateful for the call. "Had I seen it in the news and not known that he was safe, I would be very upset," she said. The students were evacuated from the building and CPS arranged transportation to get the students home. Anastasia couldn't wait to greet her son. As far as Worley knows, Eli and his classmates will return to Fifth Third on Friday. A crisis team will be available for the students and instructors if needed. The Project SEARCH High School Transition Program is a one-year program for students with disabilities in their last year of high school, according to its website. It is targeted for students whose main goal is competitive employment. Other Project SEARCH students work at Mercy Hospital and the Hamilton County Sheriff’s Office.